Children can experience many types of foot and ankle problems. Heel pain, achilles tendonitis, and sports injuries are very common in children and teens. Many foot problems in children can be caused from injuries or from more natural reason, like overuse. There are many different treatment options for a child suffering from a sports injury or pain in his/her feet and ankles. Starting with a conservative plan based around the child's lifestyle is the best starting point. Laser therapy is a great option due to it being safe, effective and completely painless. Treating foot problems in children can be more difficult as children are less likely to rest the pain or injury. Each child is unique on their treatment. If a child is very active or plays sports the recovery goals can be different. For most children the treatment goal is to get the child out of pain and back on their feet as quickly as possible. With adults RICE (rest, ice, compression and elevation is usually the beginning of treatment. MLS laser therapy is great conservative treatment option for many common foot and ankle problems. 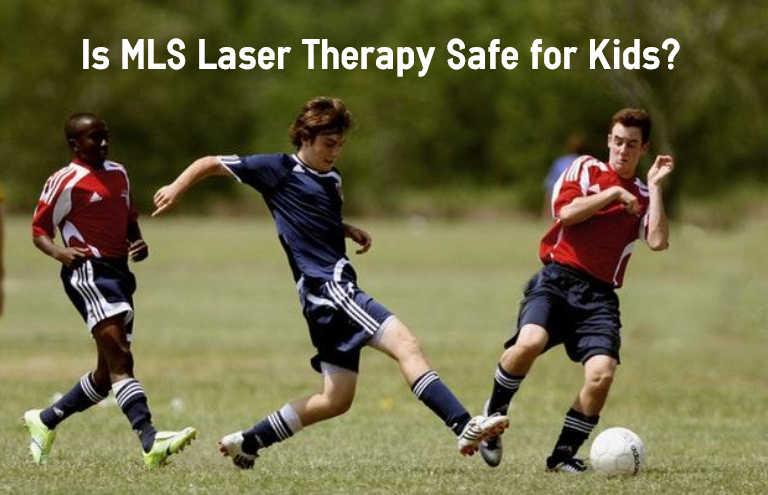 Injuries and pain can both be treated with MLS laser. The benefits of MLS laser include it's painless, effective and doesn't have any side effects. Once session of laser lasts only 6-10 minutes. The MLS laser is a large machine about 4 feet tall. The laser light comes out from overhead and narrow in on the location of the pain or injury. It is completely cool to the touch so the patient doesn't even feel any heat during the treatment. ​How Does the Laser Work? Laser therapy works by allowing the body to heal itself. The lase beam draws blood and oxygen to the sit of injury or pain. This will decrease inflammation and begin the healing process. The laser can decrease the healing time of an injury by up to 40%. Laser therapy is a great tool even after a surgery to speed healing and recovery.